Well known as New Bern’s family bike shop since 1977, Flythe's Bike Shop is the place to go for any and all biking needs in the Inner Bikes region and beyond. From perusing the shop’s line of top cycling equipment and gear, to signing up for one of Flythe's Bike Shop’s weekly rides, there’s a host of adventures and good times waiting at this local New Bern landmark. 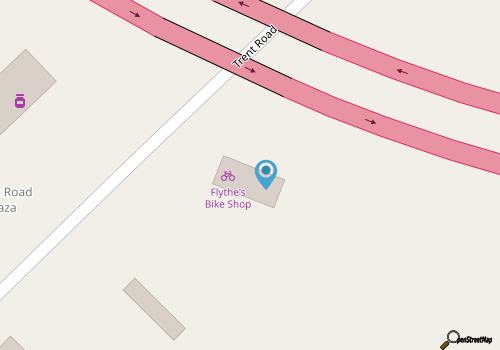 Flythe's Bike Shop is easy to reach for visitors and residents throughout the New Bern area, thanks to a locale along Trent Road / Business US 17 that’s just a stone’s throw away from the historic downtown region. The store is an all-encompassing destination for virtually any kind of cycle need, as it offers sales and rentals for visitors, repairs and services, and all the accessories and gear that bikers may require to go the distance. In addition, Flythe's Bike Shop hosts a weekly Saturday and Sunday morning ride that explores the scenic regions on the outskirts of New Bern, such as the communities of Jasper and Pollocksville, and the famed Brices Creek area. From embarking on a new adventure to getting all the equipment required to hit the road, Flythe's Bike Shop has it all covered. Call 252-638-1544 for current hours.